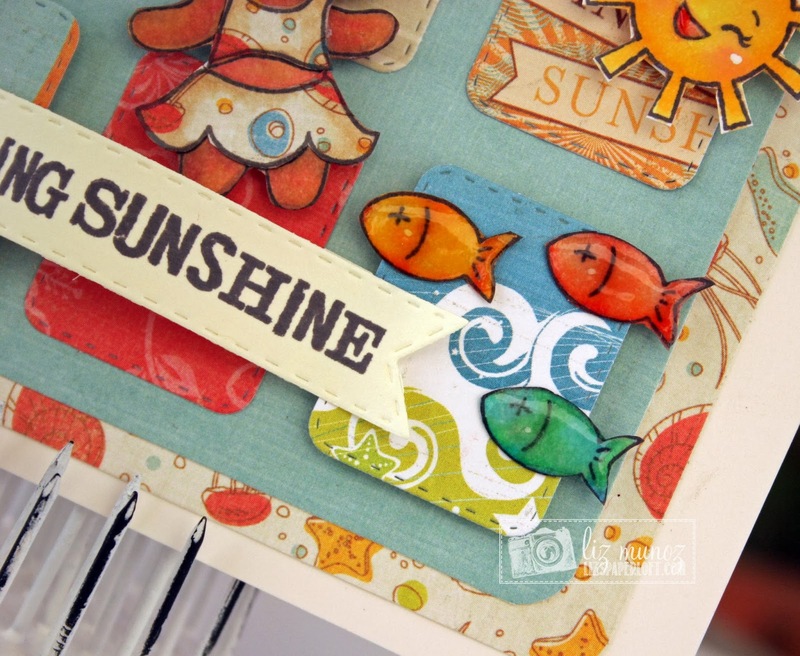 Liz's Paper Loft: Peachy Keen Stamps February Sneak Peak Day 3 ~ Sending Sunshine! 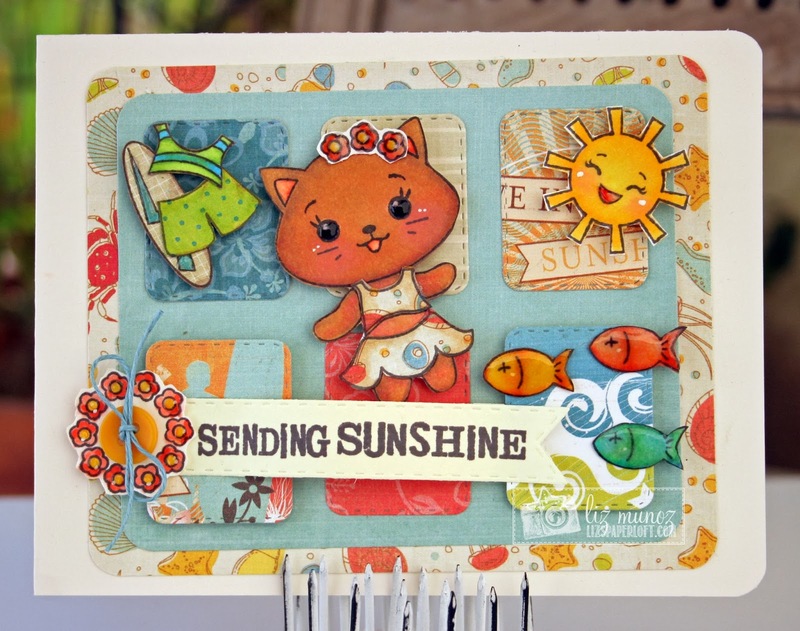 Peachy Keen Stamps February Sneak Peak Day 3 ~ Sending Sunshine! What an exciting weekend it's been for me and the my other Design Teammates! 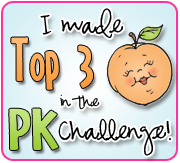 Welcome back to day #3 of Peachy Keen Stamps' February sneak peeks! 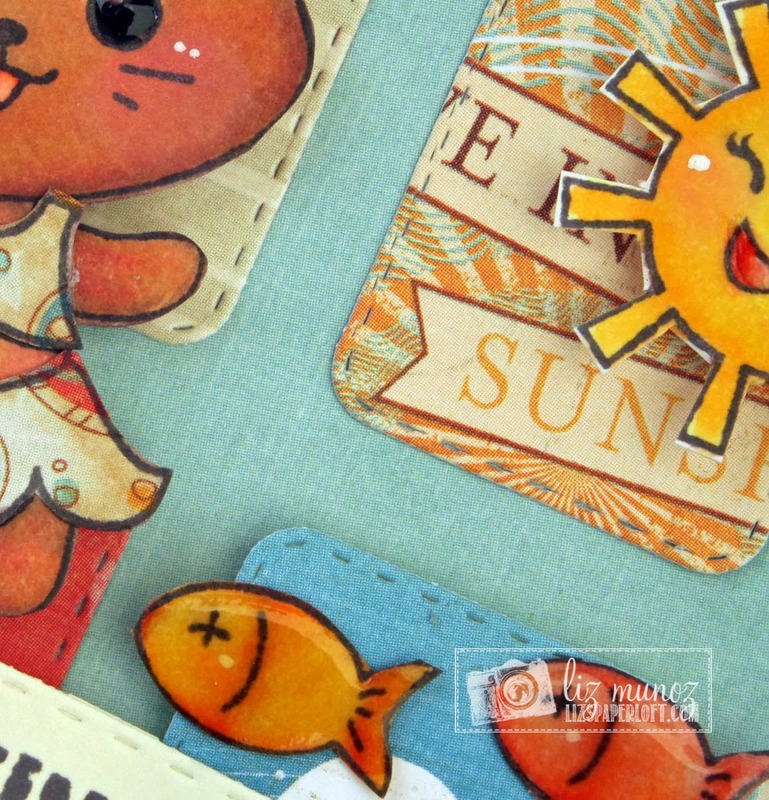 Today, we’re featuring great samples using two of our new stamp sets. 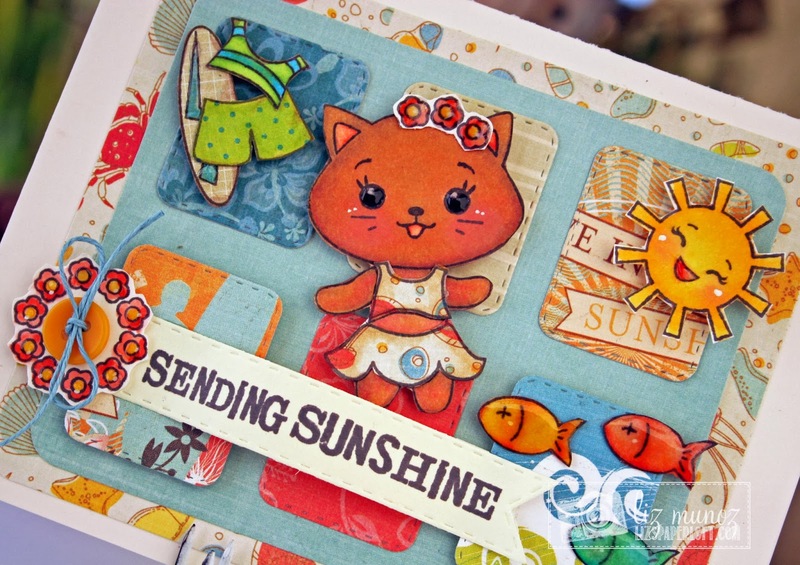 Tropical Vacation Kitty Cat and the Kawaii Face Stamps, which come in both the assortment and 1 1/8″ size sets. These will be perfect for so many amazing projects! Super CUTE CUTE CUTE Liz!!!! 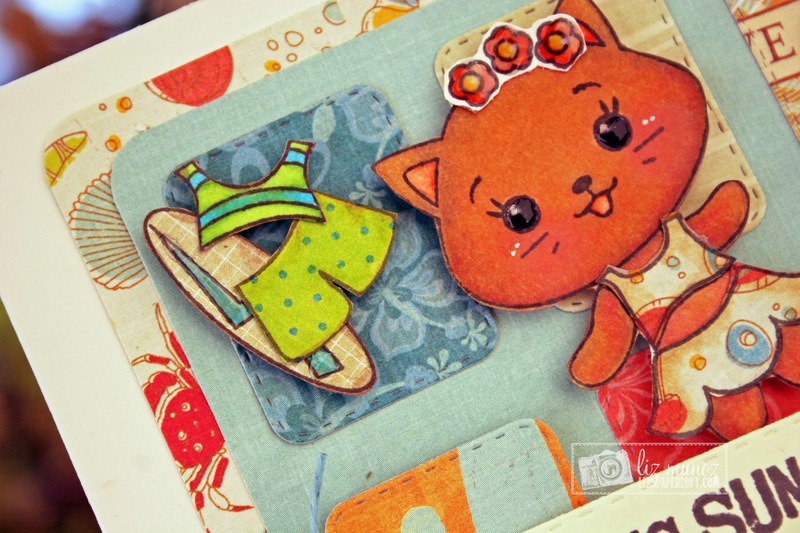 Love your kitty card, Liz! 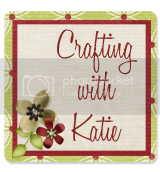 The stitched pattern papers make a great background. 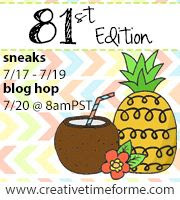 Your card is colorful and summery! Love it! Oh how super cute! I just love your color choices! OMG, this is just too darn cute! 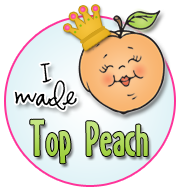 You are on a Peachy roll! I hope you are sending this off to one of our freezing friends!!! I love the kitty's!!!! I'm a car mom so I love this set!!! So cute! Perfect for this FL gal! this is my fav!!!! love it! Great card design--so fun and colorful. Oh so cute!!! Lovin the new release! Your card is so, so precious along with being so stinkin' ca-ute!! My goodness Liz you really outdid yourself fixin' the kitty up for a super fun time. Your card is so cute, fun and colorful. Love it:) Thanks for the inspiration! 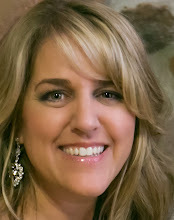 Ok, I think this one is my fav!!! She is just adorable!!! 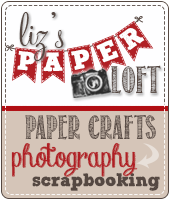 Liz this card is so cute and fun!! I love those little fishes. Love this card, the colors are perfect! How absolutely adorable!!! I love this little vacation kitty!! !